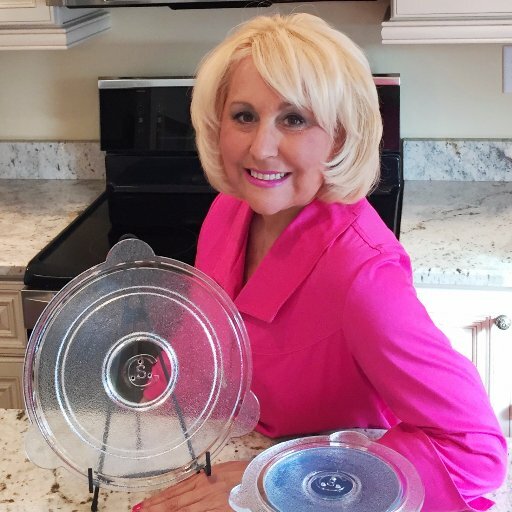 Meet Susan Castriota, the inventor of the glass Cuchina Safe® Vented Glass Lid and Cover‘n Cook™ Glass Microwave Plate Cover, and hear her “lemons to lemon cake” story! The Cuchina Safe Lid and Cover ‘n Cook™ are the clean, safe, non-toxic alternative to harmful BPA and BPA-free plastic lids and wraps used in the microwave to cover and reheat food. They are the newest, eco-friendly, vented glass lid kitchen accessory for health conscious foodies, and make great splatter shields. Both innovative microwave cover designs allow for easy and fast steaming and cooking in the microwave and conventional ovens up to 450°. The vents make it ideal for steaming vegetables and rice, and for cooking meat, eggs and desserts. No more splatters to clean up! When steaming and reheating with our glass lids and microwave plate cover, you use the least amount of water to ensure the retention of the healthy properties during the cooking process and preserve those important nutrients. With BPA-free glass, there are no more worries about potentially harmful chemicals leaching into your food. Our clear glass cooking lids and glass plate cover won’t absorb odors and bacteria like plastic and silicone covers.